FIRST OFFICE STORAGE CONCEPTS (PTY) LTD is a renowned supplier of quality shelving and racking systems to suit all storage requirements. The company was established in 1991 as manufacturers and suppliers of various shelving and racking systems to the industrial and office environments. Our service, quality and competitive prices distinguish us as one of the leading players in the industry. Our designs offer a complete solution for any project. They are custom-made to meet very requirement. 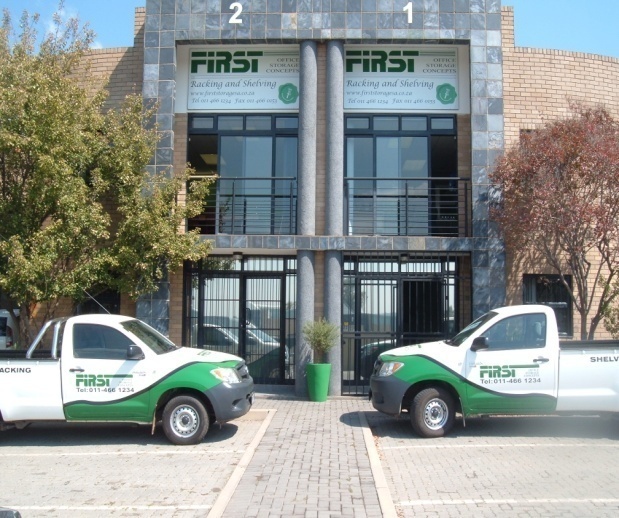 FIRST OFFICE STORAGE CONCEPTS (PTY) LTD will forever be distinguished by their technical expertise combined with their hands-on experience, therefore ensuring that our clients receive the most effective and professional service as well as a safe and custom design. To us, innovative designs and outstanding customer service is not a goal but our character. We exceed expectations. You can be assured that any product from FIRST OFFICE STORAGE CONCEPTS (PTY) LTD is as safe and durable as it is good looking. Most of products we supply and install meet SABS standards and building codes. They are designed to stand the test of time and can cope with the hard knocks of everyday life. Product Quality is rapidly becoming an important competitive issue, thus FIRST OFFICE STORAGE CONCEPTS (PTY) LTD will only use the best product available at whatever cost. Our products are safe, durable and will sell themself. Careful attention to detail will distinguish us as the best, thus ensuring the durability of our products. We pride ourselves on doing things right the first time! 1. Technical – This entails using our background and technical knowledge (expertise and experience) to sell our product. We will design and put forward the best solution to solve your individual needs, with the best price possible. 2. Convulsive Style – Technical competency is not enough, that is, we demonstrate very strong verbal and written communicating skills to our clients and stakeholders. 3. Negotiation – We shall use strong negotiation skills during presentations and quotations. We need to understand our client’s goal and requirements so that we can help them achieve them. Quality service also includes on time delivery. 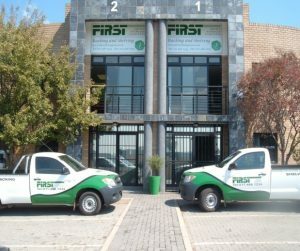 Therefore FIRST OFFICE STORAGE CONCEPTS (PTY) LTD will do whatever possible within their means to finish a project at a specified time. Diligence, accuracy and precision are standards which FIRST OFFICE STORAGE CONCEPTS (PTY) LTD upholds at all times. Whatever our workmanship does it has a touch of perfection to it. Not only do we supply products that are safe, but we also promote safety to our staff! A safe working environment is the catalyst to the high standard that we set to our workmanship. We don’t settle for anything less than perfection.